In New York Times and USA TODAY bestselling author Kresley Cole’s sizzling series, a fierce werewolf and a bewitching vampire become unlikely soul mates whose passion will test the boundaries of life and death. 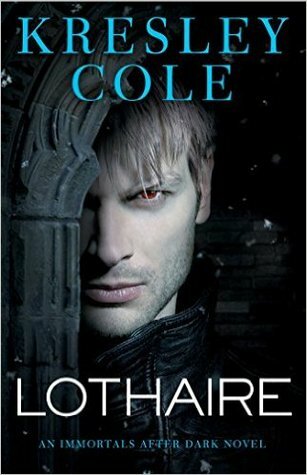 After enduring years of torture from the vampire horde, Lachlain MacRieve, leader of the Lykae Clan, is enraged to find the predestined mate he’s waited millennia for is a vampire. Or partly one. Emmaline Troy is a small, ethereal half Valkyrie/half vampire, who somehow begins to soothe the fury burning within him. 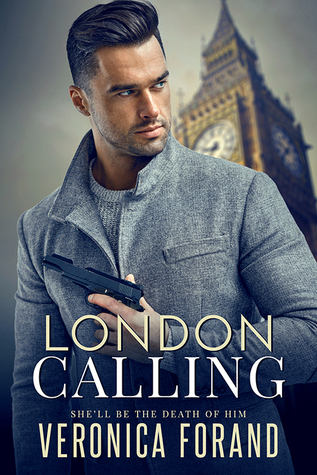 Sheltered Emmaline finally sets out to uncover the truth about her deceased parents—until a powerful Lykae claims her as his mate and forces her back to his ancestral Scottish castle. There, her fear of the Lykae—and their notorious dark desires—ebbs as he begins a slow, wicked seduction to sate her own dark cravings. Yet when an ancient evil from her past resurfaces, will their desire deepen into a love that can bring a proud warrior to his knees and turn a gentle beauty into the fighter she was born to be? 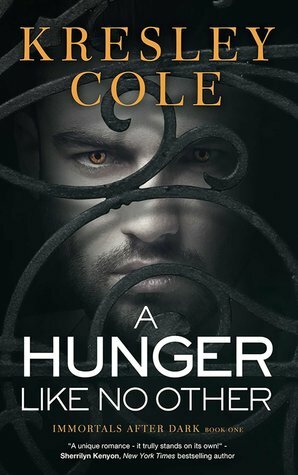 I first read A Hunger Like No Other back March 2010, and never wrote up a review on it because during this time I was still in the Navy. My schedule was chaotic, so I couldn’t stay up at night like I do now to type up my reviews. 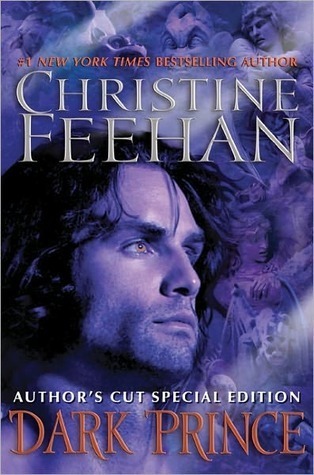 (Believe me, I needed my beauty sleep in the Navy, especially with working 12+ hours a day or more depending on duty days)Now I’m finally doing a complete re-read of the Immortals After Dark series…so I can go back and remember everything I can about the previous books before I read the books I missed out on reading. I have missed this series…Darn it!!! It’s been over four years since I read this book the 2nd time, so it was like I was reading again for the first time. Well, at least some parts I did not remember, but I did remember how Lachlain was. Holy CRAP!! Lachlain is the CAVEman of all Alpha Males meaning he gets what he wants whenever he wants and he will do anything to get it. He has his reasons to be the way he is though. Imagine being tortured for centuries! You would be a raging maniac just like Lachlain. He happens to finally escape the Vampires that tortured him for those centuries and ends up finding his mate, who happens to be the one creature he hates. (Queue instant hatred at first.) But he’s a male that finds his mate and ends up fighting that hatred. (Hello, the poor Lykae has been waiting for her for many, many centuries.) I felt terrible for him even with his crazy ways. 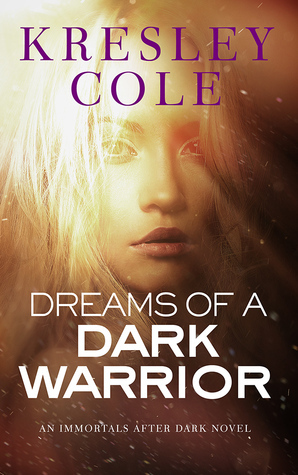 Kresley Cole is one author who can world build like crazy in her books. She throws you into this fictional world full of mythical immortal creatures that you fall for head over heels. You want to know every one of them personally. That is how Kresley Cole is though. 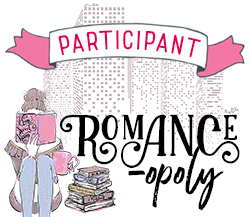 She’ll give you bits and pieces of each character and leave you wanting to learn more about them. She even throws in a very dramatic action-packed adventure with the characters, especially in A Hunger Like No Other. Lachlain was dealing with getting his revenge, and Emmaline was trying to figure out about her father and also about herself. At the beginning of the book Emmaline is the sweet girl, but in the end, she’s a very intimidating character. 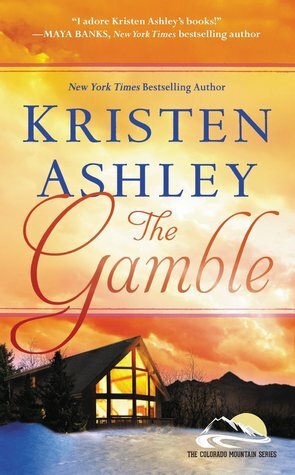 I loved how Kresley had Emmaline develop in the story and how Lachlain changed too. Another thing I enjoy about this series and why I loved it back in 2010 and still to this day. Kresley Cole has a storyline going on throughout the books for the series. Here’s my question still and it’s 2018 will Nix ever get her book? She needs to find love. She deserves it even with her crazy funny self. I adore her, and I’ve missed her dearly, and I’m so glad I’m back to the IAD world. 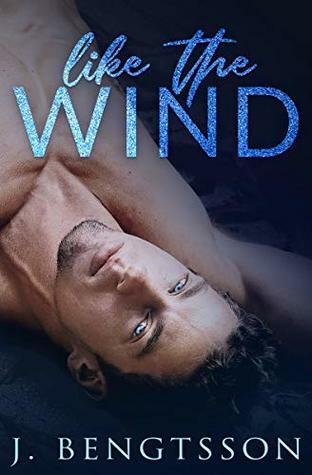 I give this book 5 full stars and highly recommend it to paranormal romance readers out there. 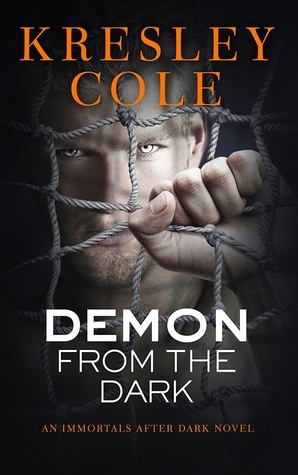 Kresley Cole will always be one of my favorite PNR Authors, and her books will continue to be bought in paperback no matter what. I love looking at the covers, and I definitely will be reading this series over and over again. =) I also enjoy listening to the audiobook version of this book, which is what I did for the 3rd time around, while at work.